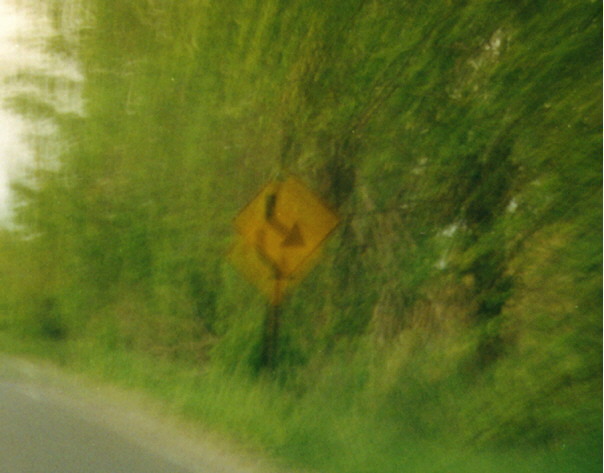 While Old State Rd doesn't technically go through either community, it's close enough to both. 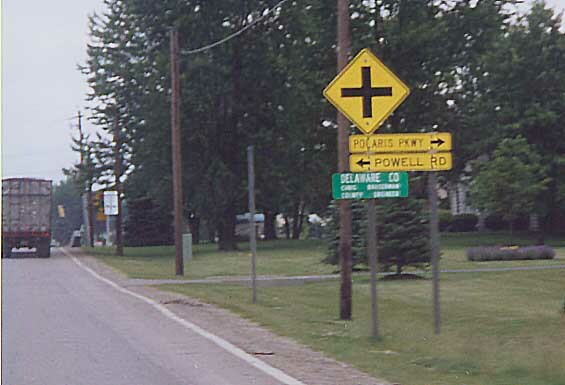 "Old State Rd" is called Flint Rd in Franklin Co and goes from US 23 (about a mile north of I-270) northeast to Lazelle Rd where you go underneith a railroad underpass and then head north on Old State Rd (CR 10) in Delaware Co. 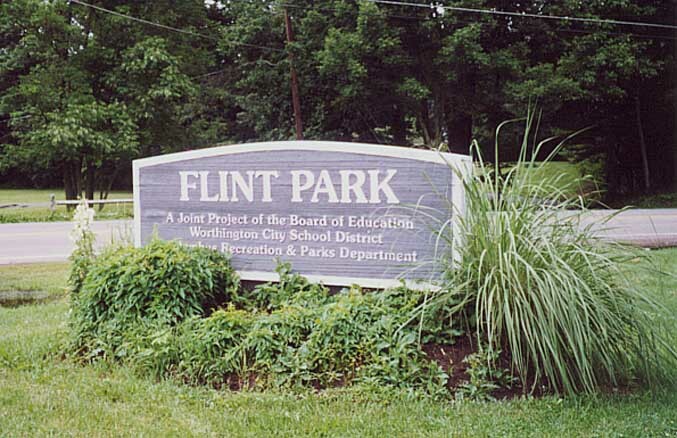 This is the sign one sees at the intersection of Flint & Park Rds in (Far) Northern Worthington for Flint Park (though not listed on the "Official Worthington City Park list). This old schoolhouse in Flint is still standing (even though it's boarded up), but the yard and play equipment is for public consumption. This is the Norfolk & Southern Crossing over Lazelle Rd (along the Delaware-Franklin Co line) -- Flint Rd ends on the left side of the tracks and Old State Rd begins on the right side of the tracks. 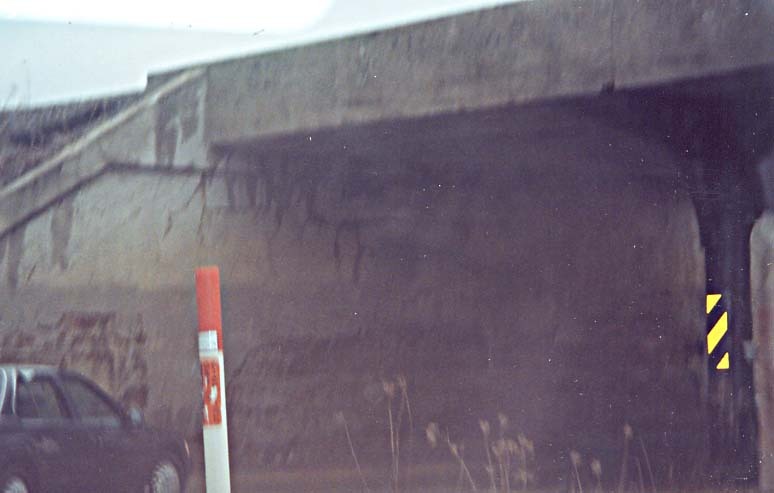 The bridge appears to have been built awhile back (1950s or 60s?) 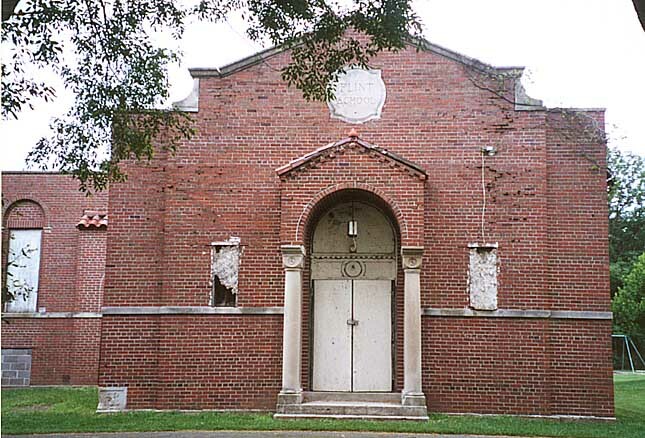 while most of the development in the area has occurred since the 1980s. 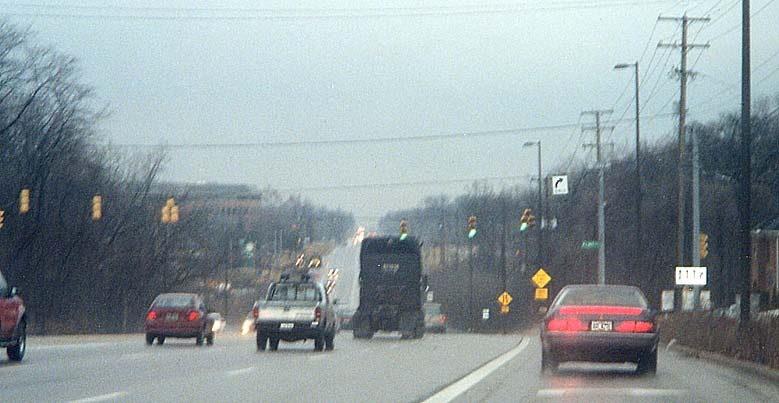 You'll see this sign when you leave Columbus (and Franklin Co) for Delaware Co. on most county highways. What I find interesting is who these county signs promote? The County Engineer! 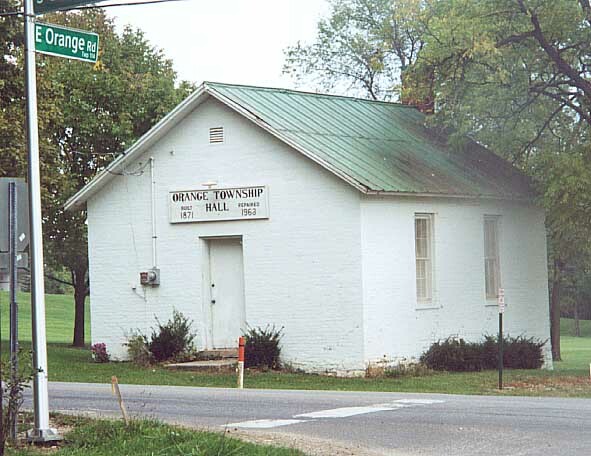 The old Orange township hall, built in 1840, somewhat retired in the mid 1990s -- Old State Rd & Orange Rd.